The 2019 Harfield Village Carnival returns this year and will be organised by HVCID in conjunction with HVA. For more information visit the Carnival Website and Facebook page. To see more on the history of where it all started click here. Click here to view the map of Harfield Village. Harfield Village Street Carnival – an archive of footage for you to enjoy! Carnival Fun – What can you expect? The carnival starts at 09h00 and runs till late. It is an annual event. A very festive atmosphere pervades the village. There are over 200 stalls where you can shop and enjoy tasty treats. There is something for everyone – from art, books, jewellery, home ware, proudly SA clothing, toys and gifts. There is live music throughout the day which creates a very festive mood. There is a kiddies designated play area as well as a crèche on Lancaster Street where your kids can be looked after. Lots of grub, with pubs and restaurants open all day. So spread the word – this is a great day out in the village! Below, NORGARB PROPERTIES organised a raffle at the 2012 Carnival. 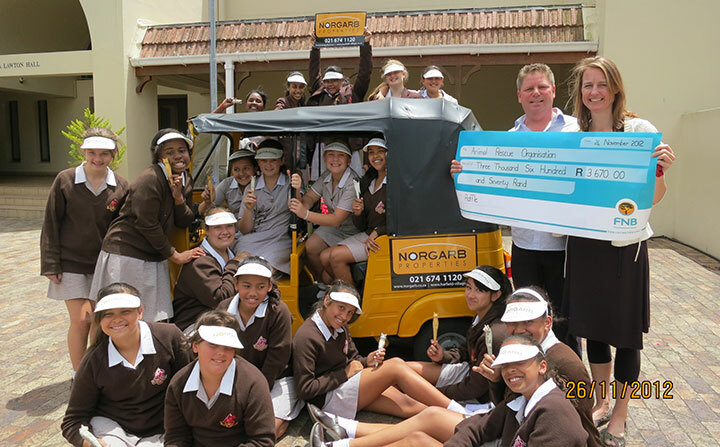 Norgarb would like to thank Wynberg Girls’ Junior School Grade 6s together with their teacher, Miss Monique Lyddell, who helped sell tickets. The proceeds went to ANIMAL RESCUE ORGANISATION. Many thanks to the local business owners who donated generous prizes! 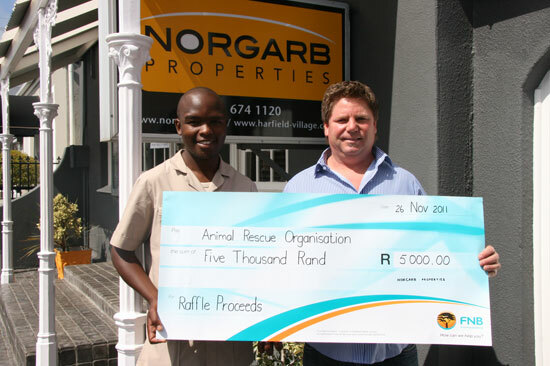 Below, NORGARB PROPERTIES held a raffle (2011 with 20 prizes to the value of R10 500, kindly donated from the local business community. 100% of the proceeds went to the ANIMAL RESCUE ORGANISATION, being R1500 more than last year! Click here to see the Lucky Draw Prize Winners.